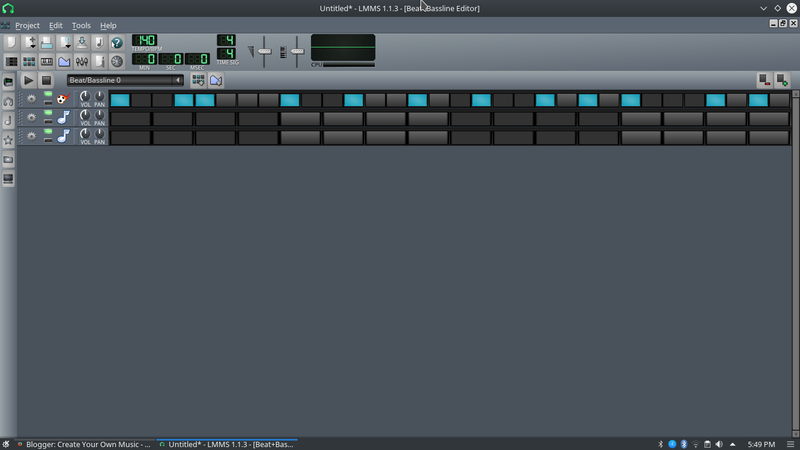 linux music production software - how to use lmms- Let's start to work with LMMS! This is a great Music Software made for all kinds of OS. 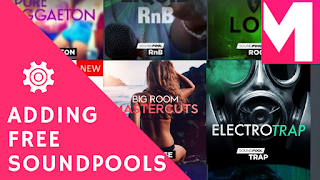 We will cover the track editor, Midi Editor and Beat Bassline Editor. 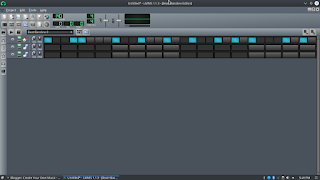 Along with showing you how to work with this linux music production software, let's create a loop and how easy it is to work with this Music program. OK, so in the last tutorials that i made, i was using Windows 10 OS, so i decided to change to Debian 9.4 stable(Linux) OS and trying out some of the free open sources music software that they have. 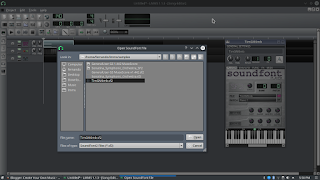 The LMMS is open source software, it is one of the greatest music software for Linux, it has already version for MAC and Windows, so if you want to test it out just install it and see in this tutorial how easy it is to work in this music program. 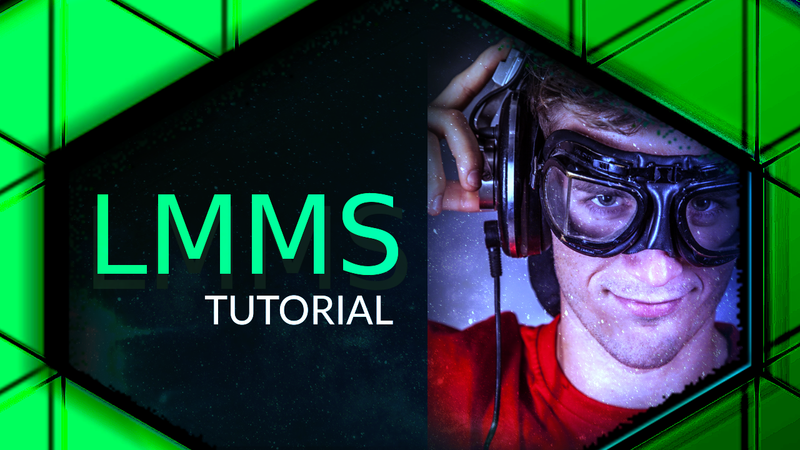 So in this video tutorial i will show you how we can setup the interface, arranging the interface, windows, and see what buttons to use, it's gonna be a very short tutorial, so I will show you the same thing as I do when I'm create music in Magix music maker. I will use basically the track editor, midi editor and beat bassline editor. 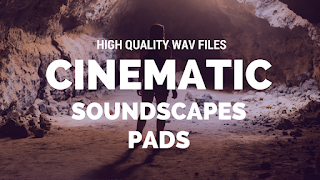 Along with this, in the track editor e are going to learn how to open instruments and them into the track line, how to add effects in a single track instrument, how we can setup the loop player, recording player, tempo and time signature. 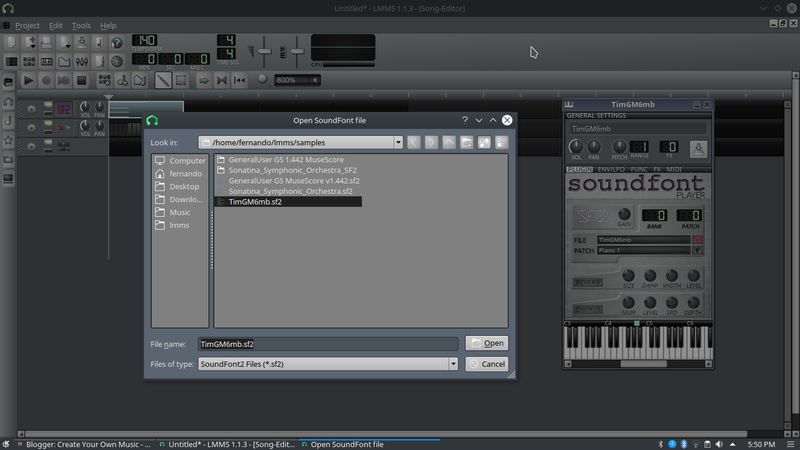 I wil show you how we can open instruments, the instrument formats are soundfonts files(sf2), Vst(dll) and Sfz files. 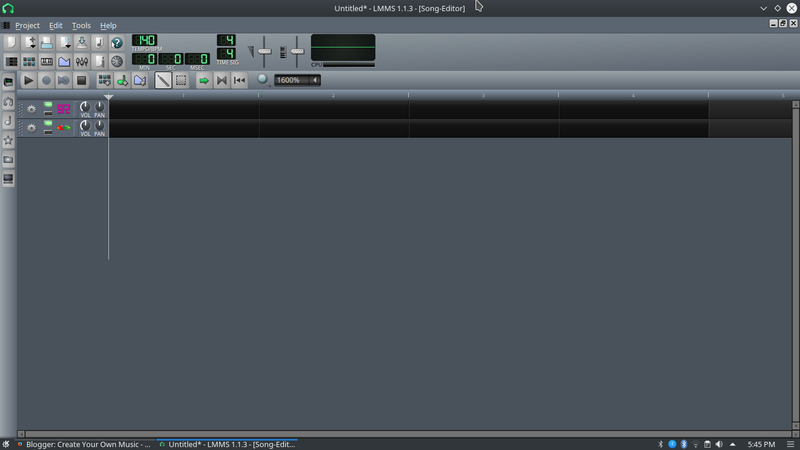 But for this lmms tutorial i will only use the Sf2 files. 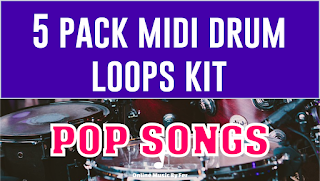 In the midi editor let's see the basic tools to draw notes, erase notes, copy notes with shortcut, setup the loop player, and see how the note values can be used to draw with the draw tool. Also in LMMS, they have a nice scale mode and chord mode in the Midi editor which allows us to draw notes as chords, and also in the piano roll we can setup to highlight the scale mode notes in the midi panel, with all of that we are going to create a a nice piano loop in the Phrygolidian mode and with minor chord setup. In the beat bassline editor, which is a awesome feature in LMMS, we are going to create only the drum beat for this loop. This plugin allows you to create beat in a different windows, only for beats, it works like a SFZ plugin, it will open and play the ogg file and play as a instrument. For the final touch we are going to use the mixer window and put some effects in to the whole loop. We are going to use a bass booster and a reverb to punch up a little the whole song. 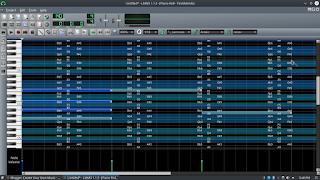 LMMS is a great software, very lightweight, doesn't crash too much, work pretty good with large files, has a lot of effects for mixer, the beat bassline editor is a perfect plugin to create fast drum beats. 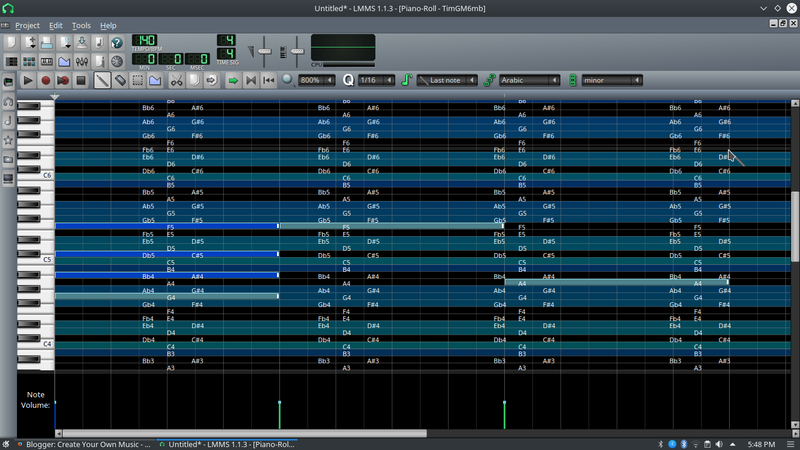 LMMS has no metronome for track, only in the midi editor but in record mode, which is very strange for a DAW basic tools required. They promise metronome in 1.2 version. The timeline has no seconds, and it is only divided in bars, which is not a good thing for me, i like to see the seconds. The midi editor cannot change the grid in it, which is a little hard to see the note some times. I think this is it for this tutorial, thanks for stopping by and see you on the next blog post!